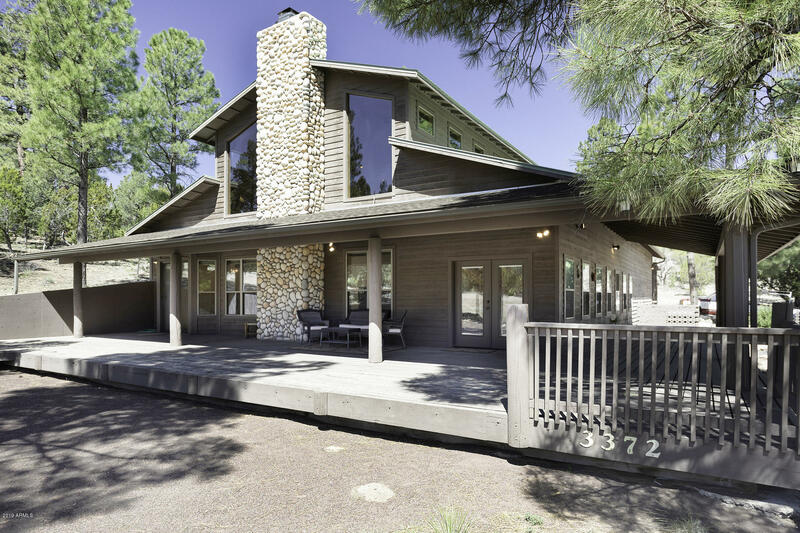 All Heber homes currently listed for sale in Heber as of 04/25/2019 are shown below. You can change the search criteria at any time by pressing the 'Change Search' button below. 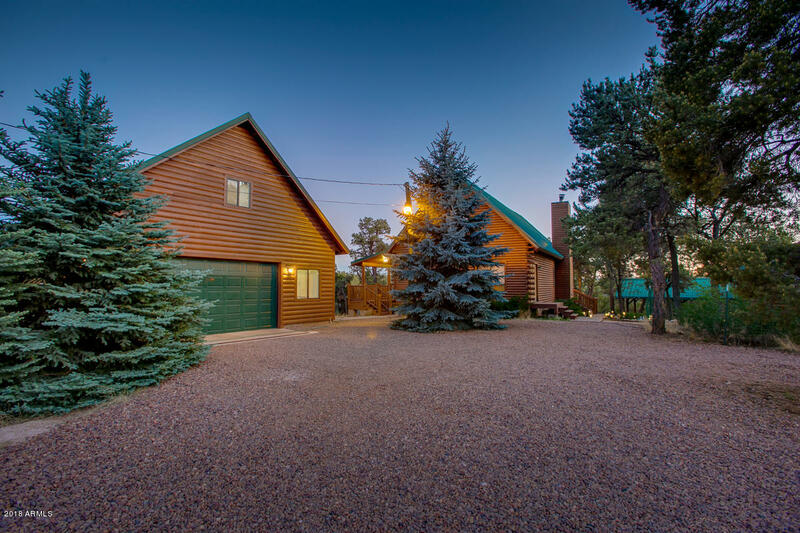 If you have any questions or you would like more information about any Heber homes for sale or other Heber real estate, please contact us and one of our knowledgeable Heber REALTORS® would be pleased to assist you. 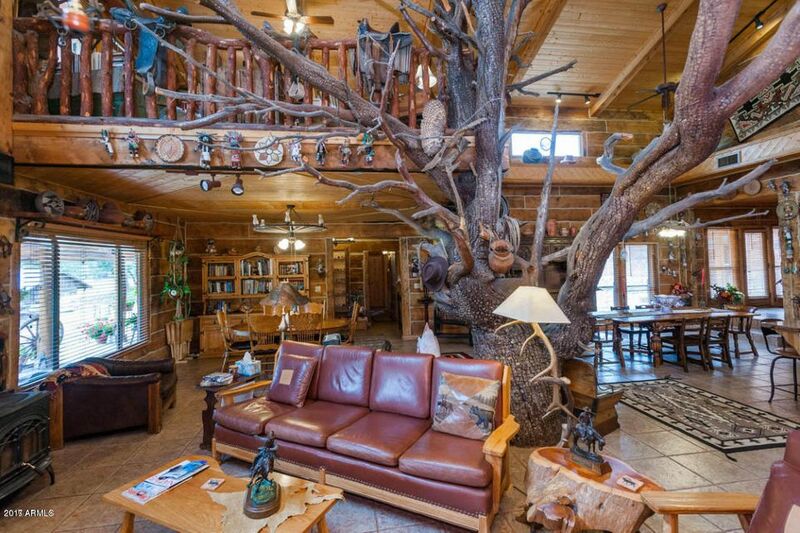 "This 122 acre Ranch is one of the most secluded/unique properties in Arizona and surrounded by National Forest. Large stands of tall Ponderosa pines-large meadows for herds of elk and deer to graze. The property includes the main house,bunk house,root cellar,corn crib,casita,barn,outhouse(with toilet,sink,shower),guest quarters and care taker residence.Solar Panels provide electricity. Cool mountain air provides cooling. Originally built it 1911, totally remodeled in 2002. See detailed narrativ"
"SPECTACULAR INVESTMENT OPPORTUNITY! in the White Mountains, LEASE PURCHASE! 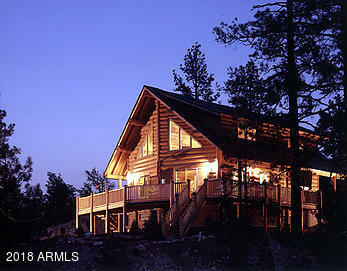 This massive,split-face,log home situated a top the Mogollon Rim in Picturesque Heber, Arizona at 7,000 ft elevation. Own your own Family Custom Estate, Corporate Retreat, Bed n Breakfast Lodge! Prime Airbnb or VRBO w/already established 5-star reviews! Or all of the above! No expense has been spared on this CUSTOM MASTERPEICE! this amazing home is 8,542 square feet! 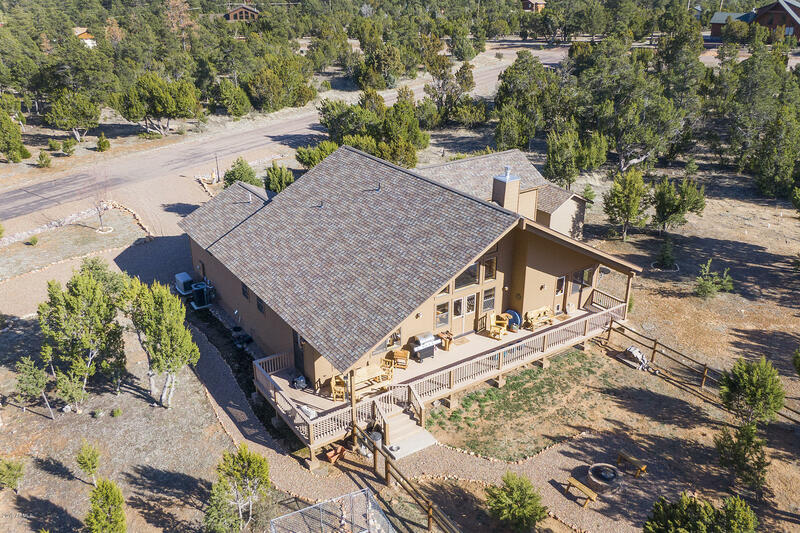 7 bedrooms with 6.5 bathrooms; 7,542 square feet in th"
"Stunning Brand New Custom Built Home in High Country Pines! Great room concept w/ hardwood floors and ceramic tile. Soaring rock accented wood burning fireplace. Vaulted T/G ceiling and accents throughout. Upgraded birch self-close kitchen cabinets, Kitchenaid appliances, and granite countertops. Two master split bedrooms down and large loft bedroom w/ picturesque views, closet and private full bath ideal for office or private bedroom suite. 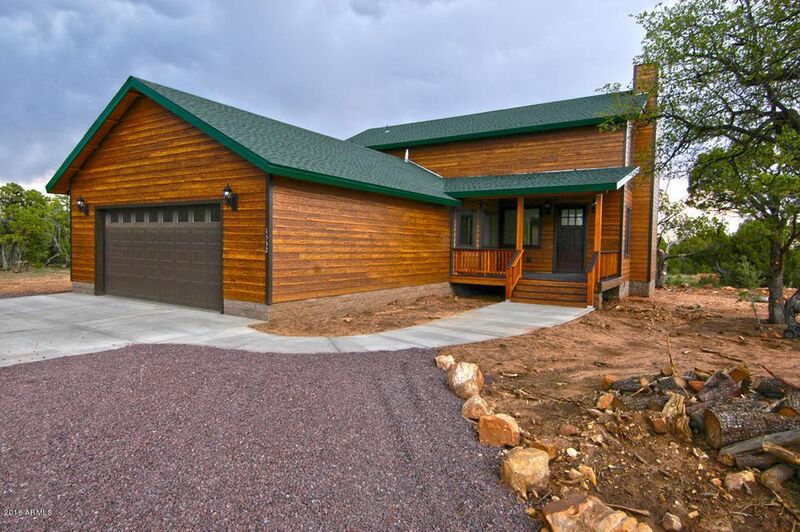 On demand/tankless water heater, foam insulation and "
"Private and secluded mountain retreat awaits new owners. This is one of the best lots in the buckskin artist community. 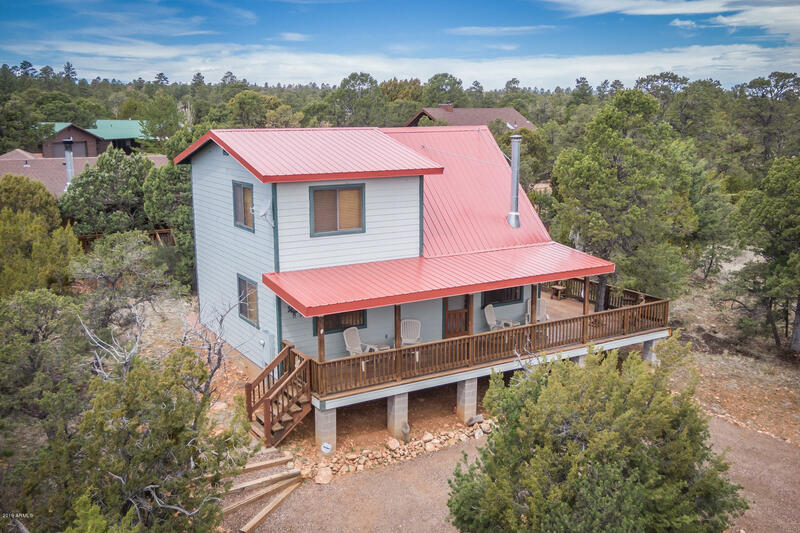 The property boasts 2.66 acres of heavily treed forest with pines, aspens & blue spruce on a ''once in a lifetime'' lot with views form the main cabin all the way to the mogollon rim. (there is an adjoining 1 acre parcel for sale totaling 3.66 acres) The lot sits at the end of Elk Road and at the top of Deer Hill. 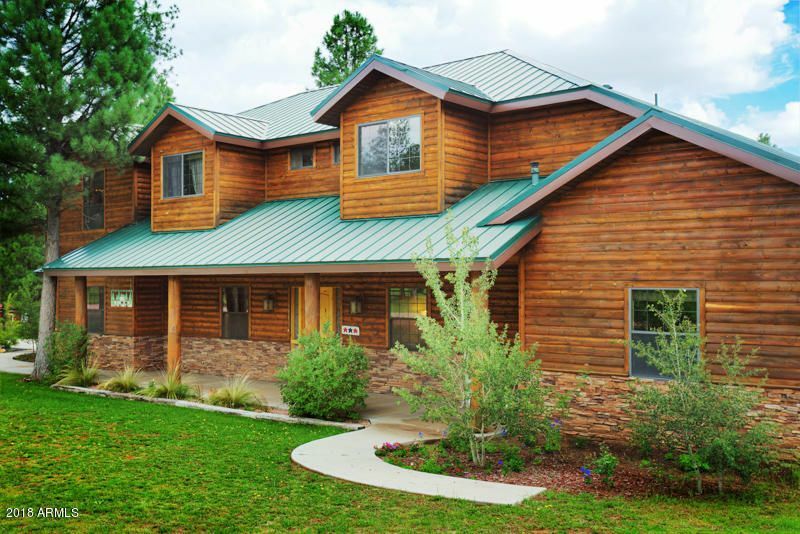 Originally constructed in 1998 by Cheyenne Log Homes there are "
"Time to enjoy this family Custom Home away from the heat, and in the cool mountain air!!! 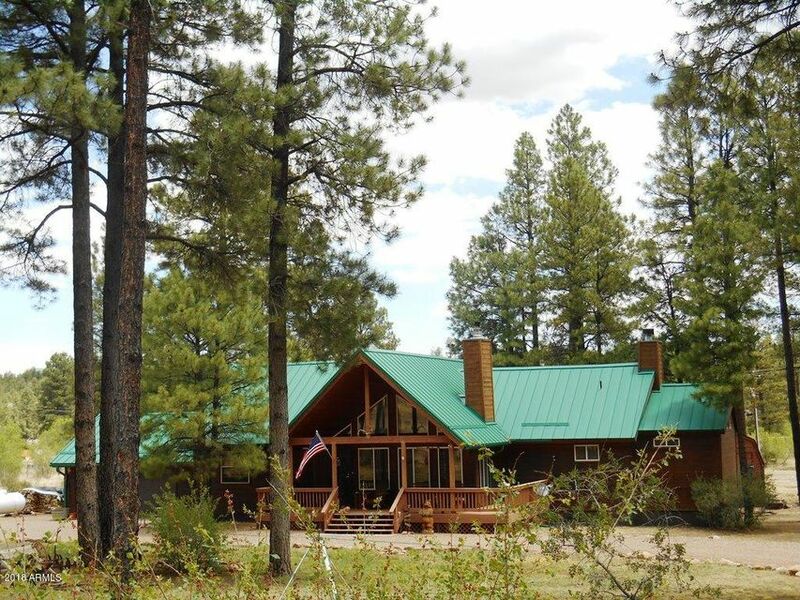 Situated on over an acre that is fenced with TWO RV gates RV parking and plenty of towering pines. Two master suites one of which has a private covered deck, the other has a separate entrance and privacy as well. Great room with soaring vaulted ceilings, full stone fireplace, custom lighting, and peeled pole beams and staircase. 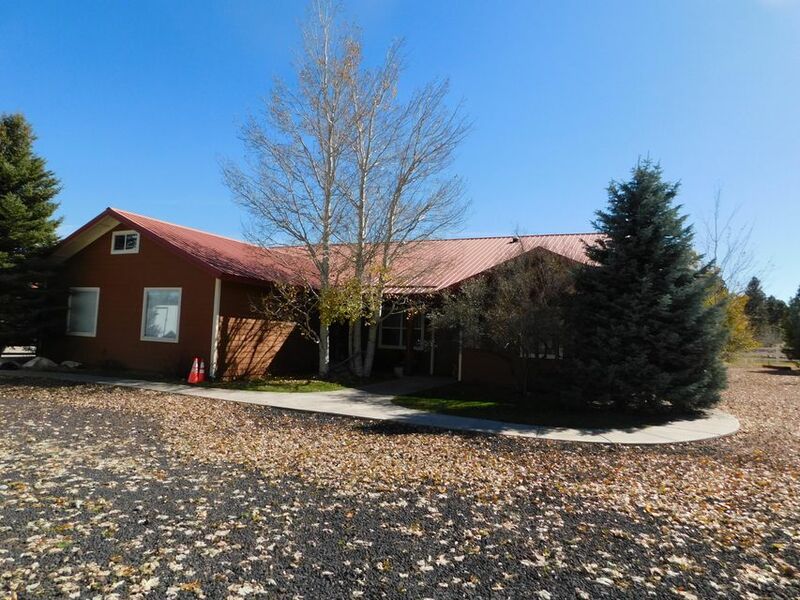 The 2,000 Sq ft garage is a car lovers dream - heated - plenty of room for "
"Fantastic 3 bedroom, 2-1/2 bath + loft chalet! Upgrades galore from the time you enter the foyer to the open great room with a wall of windows framed by T&G woodwork, vaulted T&G ceiling, peeled pole lodgepole railing, decorator paint colors and floor to ceiling river rock gas FP. Entertainers delight kitchen features loads of knotty alder cabinets, granite countertops, center island, pendent lighting plus a built in wine rack and hammered sink too. 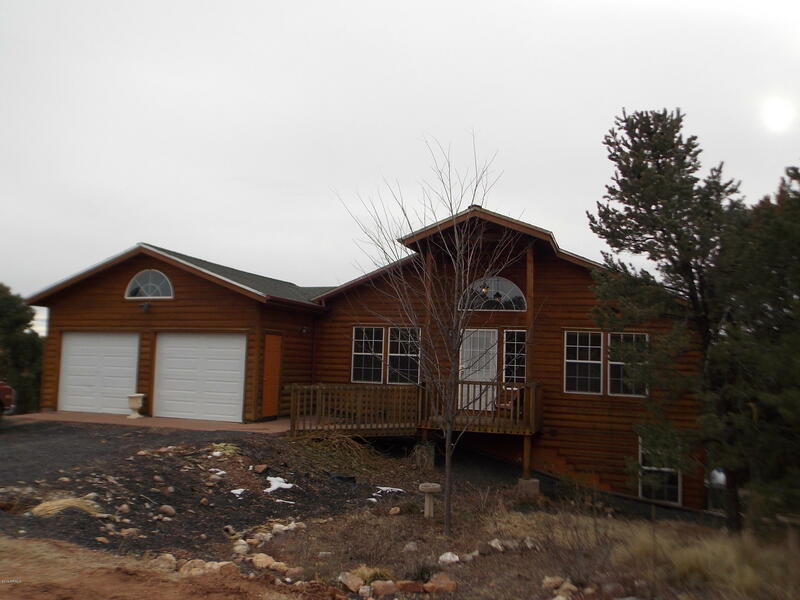 Spacious master bedroom is downstairs and has "
"Spacious 4 Bedroom 2.5 Bath 3,206 sf home on 1 acre. 2 Car detached and 2 car attached garage. RV Hookup and a utility building for additional storage. Smart siding, metal roof and gutters on front of home. Large loft area which can be used as a game room, man cave or extra sleeping area. Large kitchen with granite countertops and hickory cabinets. Wood Burning Fireplace in Great Room. ETS heat and 2 radiant propane heaters. Plumbed for air-conditioning. Enclosed Arizona Room. Beauti"
"Custom built home in Buckskin Artist Draw Community-4 bedroom/2.5 baths, great room floor plan-custom fireplace w/insert-large Island kitchen-hardwood cabinets-granite-stainless steel appliances-hard wood floors.master suite on separate end of home-jetted tub-separate shower-see thru gas fireplace in master-also separate glass door to rear deck. 2 more bedrooms on ground floor on the other end of home. 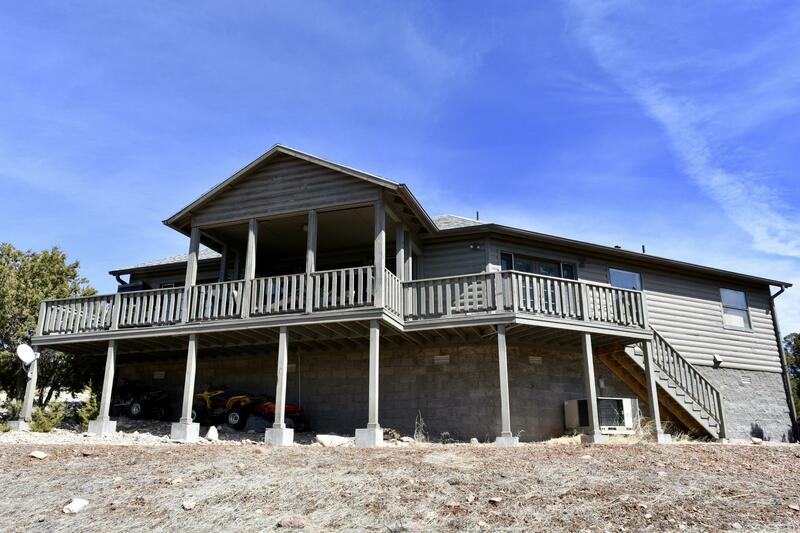 Upstairs the 4th bedroom with a half bath would make a great hobby room.This beautiful home is"
"Off grid lavender farm and farm house on 18.5 acres included are two additional parcels totaling 70 additional acres in close proximity. Total acres 88.5 . All inclusive , fully furnished. Everything you need to run a farm and business. 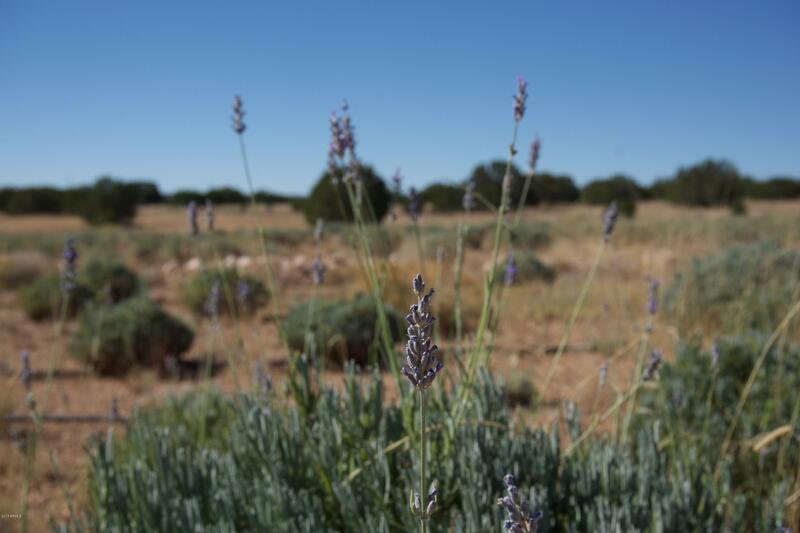 Gravity fed irrigation already in place along with battery operated timers for all 9 fields of lavender. Options to grow anything you like. Well established plants need your love. Solar powered home, barn, shop and well on property. Artesian well and 20kw diesel "
"This cabin 3/2 is a gem with unobstructed Views for miles. Sits on a corner lot on 1.26 acres of land in Gated Summer Place North. Vaulted Family room & kitchen. Open floorplan with master split. Wood floors and solid doors through out. Tons of windows & French doors that lead out to deck. Unique cabinets in kitchen and baths. Stone counters in kitchen with farm sink. Vaulted great room w/wood burning fireplace. Master suite with french doors and walk in closet. Rustic wood wall headboard with "
"Hillside living in Summer Place N, this Log home has wonderful distance views. Wrap around maintenance free decking, along w/a private spa. The chalet type log home has a real deep garage, that wraps around to a huge basement space with all kinds of possibilities, for you to finish. Inside, the great room w/fireplace, w/ tall vaulted ceilings, dining room, and open island kitchen. 2 bedrooms, custom bathroom, and laundry on the entry level. Upstairs you have a large loft with a view. The master "
"Country Cabin with urban amenities on nearly an acre, crowded with trees! Solid construction you can feel, over 2,000 sf on three levels. Safe cul-de-sac .89 ac lot, heavily forested, backs to 6+ ac GREENBELT. Plenty of elbow room from neighbors, like your own private forest! Sewer system, underground utilities, DSL available, paved County streets, metered water, sensible HOA, two levels of covered decking, full 592 sf finished basement, central heat and A/C new in 2007 plus original room basebo"
"Hard to find 3 bedroom, 2 bath single level home in sought after High Country Pines! This home has it all with split floor plan, open living room/kitchen with vaulted T&G ceiling, hickory cabinets, spacious breakfast island and solid surface countertops. The stone-faced wood burning fireplace adds winter warmth & ambiance or the central propane furnace with A/C will keep you comfy. 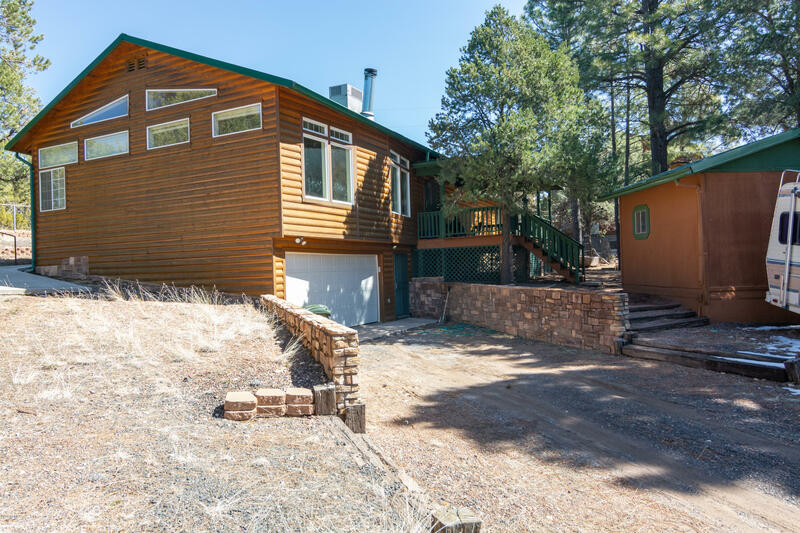 Wood laminate flooring in living room, tile and carpeted bedrooms, interior laundry room and spacious attached 2 ca"
"This 3 BR, 3BA cabin has tree line views and is located on a less traveled cul-de-sac for your privacy in the mountains. Enter into the very open living area and kitchen/dining with hardwood flooring. Enjoy your morning cup of coffee on the deck off the dinning area or star gaze on those cool mountain nights from the master bedroom access. Downstairs with large family room with a gas fireplace and access to the back yard and patio area. 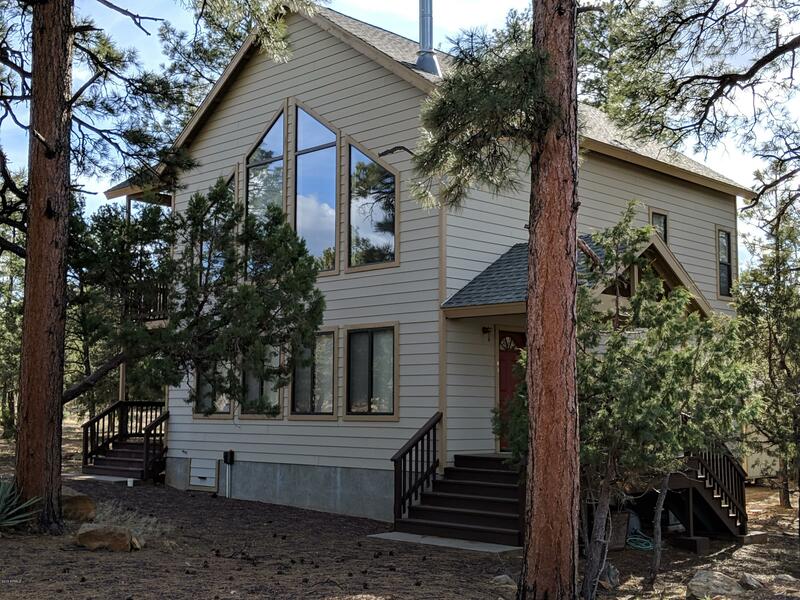 Great area for extended family or friends with their "
"**** Pre-Forclosure *** Remodeled in 2015, 3BR/2.5BA (1825sf) log sided cabin on a .41-AC pine covered lot. Spacious living room w/FP, wood & tile flooring, skylights, vaulted ceilings & dual pane windows. Covered deck plus patio, gutters, metal roof, 2-car attached garage & utility shed for storage or workshop with Bathroom facilities. Nicely landscaped parcel located on cul-de-sac with paved roads." "''PANORAMIC VIEWS'' If you have been looking for that perfect mountain get away here it is! 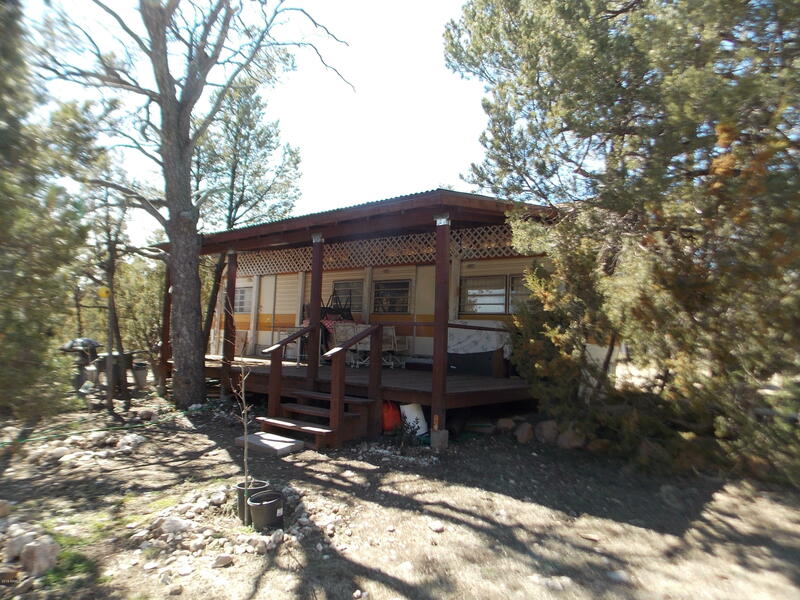 This charming cabin located in the desirable High Country Pines Subdivision offers 2 bedrooms, 2 baths, vaulted T & G ceilings and walls, free standing wood stove in living room for cozy winter evenings and is being sold completely furnished. Outside offers a large wrap around deck with stunning views, new metal roof installed January 2019, paved roads for easy year round access and is just minutes from "
"Mobile home with snow roof. 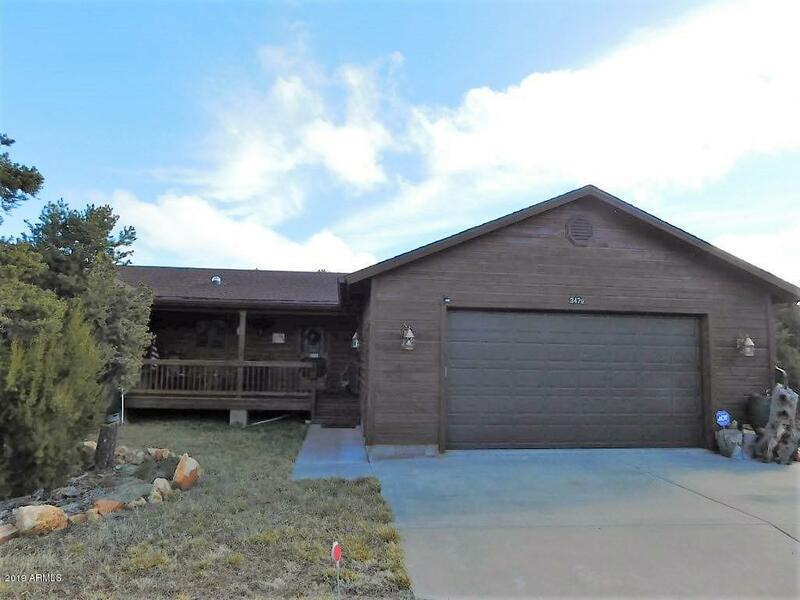 Clean home and has large covered deck. Nice lot and owner will carry!!" "Located ''Off Grid'' in Chevelon Retreat. Already surveyed & corners marked, septic in. 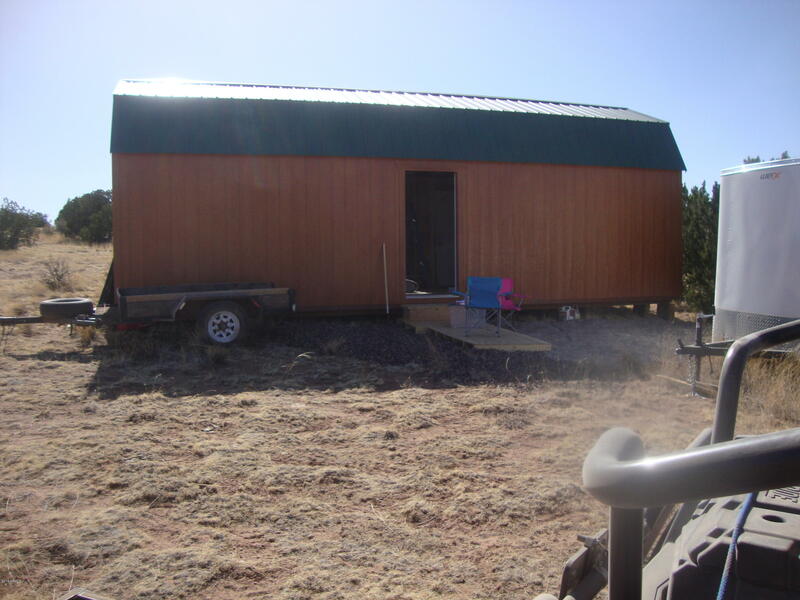 a 12x32 wood shed with 2 lofts, 1 at 7', 1 at 8' with 3 windows & man door. Enclosed trailer on site, 1 generator & 1 1980 Honda ATV. 5x5 open trailer, carpeting & shower stall enclosure. Off site, there are 2-275 gal water storage tanks, electrical supplies bought & in building to be installed, 2 propane heaters, 3-5 gal propane tanks, some personal supplies that will be removed when sold."